Quality Horse Care in West Des Moines, IA. Sorry we do not do public trail rides. Irish Run Farms has riding lessons available every day of the week, with skill levels from introductory to advanced, including but not limited to jumping and dressage. Quality lesson horses are available. Advanced riders are encouraged to schedule a lessons with one of our approved professional riding instructors, whose bios are listed below. For more information about our Kids’ Riding Club and riding classes, click here. Caty Elgin began her riding career at the age of eight. 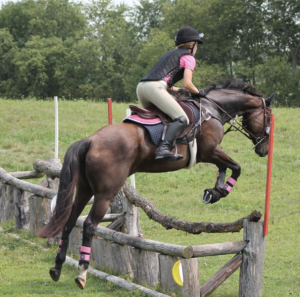 She owns two horses residing at Irish Run Farms – Art, a Trakehner gelding, and Gypsy, an OTTB mare. 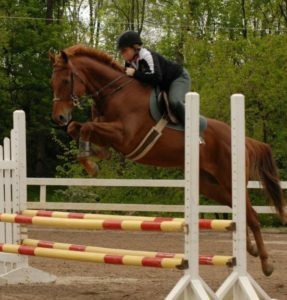 Caty competes in show jumping and eventing. She currently attends and actively shows on the college riding team at Iowa State University, where she is studying Elementary Education. She has experience in many different disciplines, including Western, Arabian Hunt Seat and Western, Hunters, Equitation, and more. Sue Bowden started riding horses at the young age of four and fell in love them. While her main discipline has always been in the hunter ring she had studied many forms of riding. Sue started in the Pony Club, and from there has ridden dressage, reining, western pleasure, hunters and jumpers. She has also fox hunted and excels in her knowledge of horsemanship. Sue started her teaching and horse training career in 2000. Sue’s goal in teaching riding lessons is to create a well rounded rider/horseman emphasizing solid horsemanship. Camie Stockhausen Is a United States Eventing Association-Certified Instructor who teaches dressage, jumping techniques for eventing and foxhunting, and skills for riding outside the ring at Irish Run on Friday mornings or as requested. She has competed to the preliminary level in eventing, and ridden five times at the American Eventing Championships at the level. 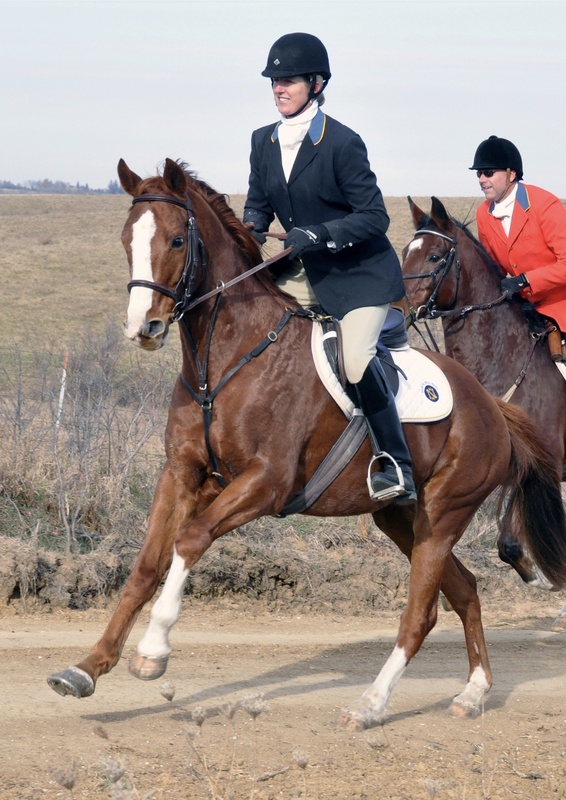 She has earned her foxhunting colors and belongs to North Hills Hunt and Fort Leavenworth Hunt. 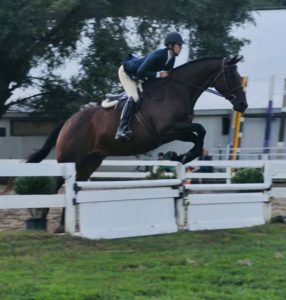 Her fun, simple, straightforward teaching style encourages riders to gently expand their comfort zones, with a focus on techniques for better communication with horses. More information about her can be found on her website, camstock.net. If you wish to join the email list with information regarding when she will be at Irish run, please send her an email.